In-ovo feeding is a key issue in poultry. The embryonic and immediate post hatch developmental period represents a significant phase in attaining quality broiler performance at marketing. An efficient transition period from late term embryo to a viable independent chick is necessary for achieving results. Immediately post hatch birds must undergo a shift from egg and embryonic nutrients to exogenous feed. Under practical conditions many birds have access to feed only 36-72 h after moment of hatch and during this time body weight decreases, intestine and muscle development is retarded. Moreover, as the modern broiler lines are intensively selected for a higher growth rate and increased pectoral muscles, there is an enhanced requirement of chicken embryos for energy and protein, and consequently the imbalance between requirement and reserves of nutrients stored within eggs may limit maximal growth and development of chicken embryos. 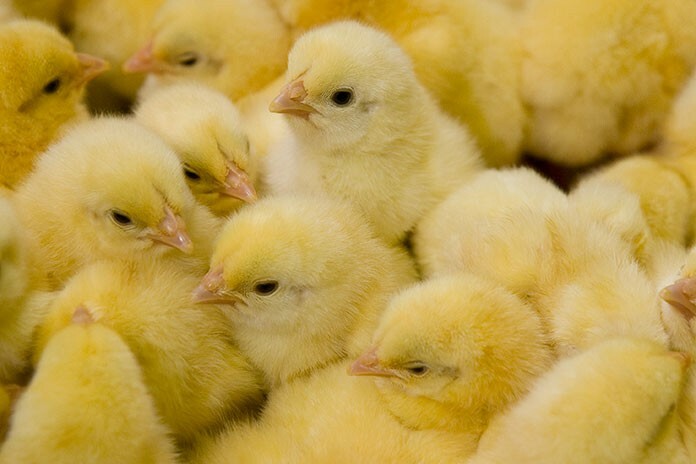 Accordingly, some of the challenges faced by broilers chicks include weakness, reduced feed intake, impaired growth, susceptibility to disease, and mortality. These symptoms may be due to limitations in some nutrients and energy and to immature digestive system unable to reload depleted energy reserves from consumed feed. Supplementing the amnion fluid with appropriate nutrients (by in-ovo feeding) is a novel way to feed critical dietary components to embryos and ‘jump-start’ development of the chick. 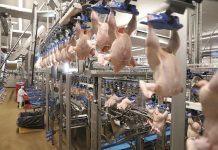 In-ovo feeding technology has established a new science of perinatal nutrition that will open opportunities for greater production efficiency and animal welfare. 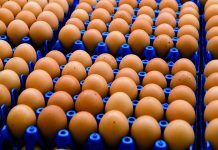 Poultry embryos and hatchlings rely upon the fat, protein, carbohydrates, water, minerals and vitamins deposits in the egg compartments (albumen, yolk and shell). During the 21 days of embryonic development, the chick embryo utilizes essential nutrients from the egg compartment for tissue growth, extra embryonic tissue development and for its energetic needs. Digestion and absorption of nutrients during incubation take place by two routes: the first track is absorption through the yolk sac membrane (YSM) directly into the blood. Absorption of yolk’s 25-30 nm sized particles, consisting of mainly very low density lipoproteins, is taken up by YSM epithelial cells by endocytosis. Our current findings show that the uptake of yolk-nutrients, including di-and-tri peptides, amino acids and minerals, is mediated by a variety of membrane-bound transporter proteins. Moreover, the YSM also exhibit digestion abilities similar to the digestion abilities of the small intestine. mRNA expression analysis demonstrate that the YSM expresses many of the digestive enzymes and nutrient transporters typically associated with the intestine and that these genes are expressed in a tissue- and development-specific manner. Yolk utilization is affected by the morphological and digestive changes occurring in the YSM. The total area of the YSM and its absorptive area increased up to E 17 and decreased until hatch. These changes may relate to the increasing demand for nutrients from the yolk and to the assimilation of the yolk sac into the embryo’s body cavity towards hatch. The second route of consuming yolk nutrients during incubation is by their transfer directly from the yolk into the intestine. This was presented previously in post-hatch period, however, our findings show that from E 17 great portion of the yolk enters the small intestine thorough the yolk stalk probably by peristaltic movements. By this route the fat, protein, glycogen, minerals and vitamins are subjected to the chick pancreatic enzyme activity and can be absorb by the embryonic intestine and support the developing embryo. Chicken embryos have capacity to digest and absorb nutrients prior to hatch. The development of the gut occurs throughout incubation, but the functional abilities of the gut only begins to develop about the time the amniotic fluid is orally consumed by the 17-19 day-old embryo. The weight of the intestine, as a proportion of embryonic weight, increases from approximately 1% at 17 days of incubation (17 E) to 3.5% at hatch. The activity and RNA expression of brush border enzymes and the major nutrient transporters (sodium-glucose transporter and ATPase) that are observed on E 15 began to increase on E 19 (two days prior to hatch) and increases further on the day of hatch. This absorption capacity increases close to hatch and continues to increase during the first few days post-hatch. Poultry embryo villus height increases by 200-300% from E 17 until hatch, and small intestinal weight increases faster than body mass. Rapid intestinal growth is due to great increase in cell numbers and size, due to accelerated enterocyte proliferation and differentiation, and intestinal crypts formation. Therefore, intestinal tissue growth, maturation and metabolism become of great importance in the last period on poultry embryonic development. The sooner the intestine achieves functional capacity the quicker the animal can utilize dietary nutrients, absorb minerals and vitamins and support the development of critical organs (skeleton, immune system, breast muscle). In the beginnings, in-ovo vaccination of the 80’ against Marek’s to be effective against early exposure to the virus. In fact, in-ovo techniques are mentioned as one of the biggest contributions of poultry research, and new in-ovo vaccines are still an active topic of research. In 2003 Uni and Ferket introduced the concept of administrating high volume (0.4 – 1.2 ml) of nutrients to the amniotic fluid o the embryo, which consumes the amniotic fluid prior to hatch. Their studies focused on improving embryonic development, intestine, health, bone and breast muscle and FCR. In-ovo feeding is expected to yield several advantages, among them reduced post-hatch mortality and morbidity; greater efficiency of feed-nutrient utilization at an early age; improved immune response to enteric antigens; reduced incidence of developmental skeletal disorders; and increased muscle development and breast-meat yield. Uni and Ferket signal several advantages of in-ovo feeding: improved intestinal development and digestive capacity; increased growth rate and feed efficiency; reduced incidence of developmental skeletal disorders and improved bone mineralization; increased muscle development and breast meat yield. In laboratory trials in-ovo feeding has increased hatchling weights by 1-7% over controls and this advantage has been observed to sustain at least 35 days. Positive effects have been observed with in-ovo feeding solutions containing NaCl, sucrose, maltose, and dextrin beta-hydroxy-beta-methyl butyrate, arginine, egg white protein, and Zn-methionine. Many other research groups worldwide (in Brazil, USA, China, Iran, Poland and India) experienced this methodology and point to the same advantages. Various potential nutrient supplements can be included in the in-ovo feeding solution. Carbohydrates can be used as a source for glucose, which is crucial for the hatching process and hatchling development. Na+ and Cl– ions play a major role in the activity of apical and basolateral transporters and in the absorption of glucose and amino acids. β-hydroxy-β-methylbutyrate (HMB), a leucine metabolite which affect muscle satellite cells and increases carcass yield, is a good candidate for the in-ovo feeding solution, as are minerals and vitamins which support the development of skeletal, immune and digestive systems in chickens. 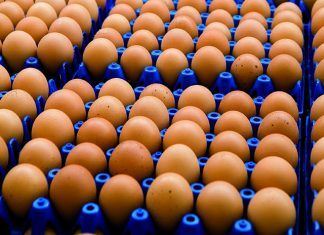 Many nutrients were evaluated for their contribution to poultry hatchability, chick quality and production performance. Indeed, any selected nutrients can be applied for in-ovo feeding and that includes all amino acids, carbohydrates, vitamins, fatty acids, and other modulators. A large verity of nutrients or supplements can potentially be included in the in-ovo feeding solution. Limitations are volume, timing, osmolality and viscosity of in-ovo feeding formulation. In-ovo feeding may also enhance the protective function of enteric mucosa. Hatchlings are very susceptible to the colonization of enteric pathogens due to minimal competitive exclusion by symbiotic microflora that populate the mucin layer of the gut mucosa. The mucus gel layer of the intestinal epithelium is the first barrier to enteric infection. Smirnov et al. (2006) observed that in-ovo feeding increased villus surface area at hatch and 3 days post-hatch by about 27% and 21%, respectively. Moreover, the proportion of goblet cells containing acidic mucin increased 50% over controls at 36 h after in-ovo feeding, which corresponded to enhanced expression of the mucin mRNA. Bohorquez (2010) also observed in-ovo feeding to significantly accelerate the maturation of the villi epithelial, mucus secretion, and colonization of commensal microflora in day-old turkey poults. Hence, in-ovo feeding may help improve the colonization resistance of enteric pathogens of neonatal chicks and poults. Bhanja et al. (2010) reported higher expression of genes associated with humoral immunity, IL-6 and TNF-α in chicks injected with lysine, threonine or methionine and cystine. Additionally, in-ovo administration of threonine also enhanced the expression of cellular immunity genes, IL-2 and IL-12, in chicks humoral immunity, IL-6 and TNF-α in chicks lysine, threonine or methionine and cystine. Additionally, in-ovo administration of threonine also enhanced the expression of cellular immunity genes, IL-2 and IL-12, in chicks. A further development of in-ovo feeding concept was presented by Pineda et al. (2012) who used silver nanoparticles, an antimicrobial agent, delivered them in-ovo and observed benefits in growth performance, microbial profile, and immune status of broiler chickens. Current genetic growth potential and metabolic rate of meat-type chickens (broilers) is extremely high. Due to this increased metabolic rate of today’s fast growing embryos, the limited embryonic nutrient reserves are insufficient and some nutrients are depleted in the prenatal period. For example, during the last days of incubation the yolk, which is the major mineral source for the embryo, contains limited reserves of P, Zn, Cu and Mn. Accordingly, the consumption of those minerals is low. Since those minerals are important for broiler bone development, it is reasonable to assume that this limitation will hinder bone development. It is therefore not surprising that during the last prenatal days, most mechanical and geometric properties of the tibia and femur, in our current broiler breeds, remain unchanged or even deteriorate. In-ovo feeding with minerals, vitamins and carbohydrates, was shown to elevate mineral levels and their consumption from the yolk during the prenatal period. This nutrient supplementation for broiler embryos showed a significant effect on their skeletal development since the minerals and vitamins included in the in-ovo solution are important for bone development. Our study examined the effect of in-ovo enrichment with minerals, vitamins and carbohydrates on the structural, mechanical and compositional properties of long bones from the embryonic period until maturity. 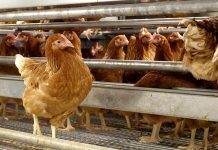 Results showed that generally, there was an early positive effect on the bones of in-ovo-fed hatching broilers, which slowly faded by d7. On d14 again the enriched group bones showed improved properties. The increased mineralization levels and improved trabecular bone morphology during the last days of growth (d 28-d 54) hint to a long lasting and possibly permanent effect of in-ovo enrichment on the dynamics of bone development. This work demonstrates the potential influence of embryonic nutrition on the performance of organisms both in the short term, prenatally, and in the long term. Additionally, optimizing the in-ovo feeding solution content will probably strengthen the effect of in-ovo enrichment on bone development and properties.